In past three months, SRF has outperformed the market by surging 25 per cent, as compared to a 7 per cent rise in the S&P BSE Sensex. 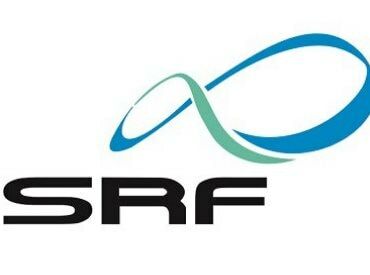 Shares of SRF climbed 2.50 per cent in an otherwise weak market on Friday, on expectation of revival in specialty chemicals business. SRF is a multi-business entity with manufacturing tyre cord fabrics to developing advanced fluorine based intermediates (specialty chemicals). It also manufactures packaging films and, fabrics and engineering plastics. The company posted growth of 26 per cent year-on-year (YoY) in consolidated net profit at Rs 166 crore in December 2018 quarter (Q3FY19) on the back of higher revenue. The operational revenue grew 41 per cent at Rs 1,964 crore from Rs 1,397 crore in the corresponding quarter of the previous year. EBITDA (earnings before interest, taxation, depreciation and ammortisation) margin expanded 30bp YoY to 16.9 per cent in 3QFY19. The management said specialty chemicals business, which accounts 30 per cent to total revenue, is now showing signs of a revival which will be visible from the next quarter onwards. The fluorochemicals business continued to perform in line with expectations mainly on account of additional sales of Chloromethanes. Further, new opportunities have emerged in the specialty chemicals business, which will result in better offtake, the company said while announcing Q3FY19 results on February 4, 2019. Analysts at JM Financial maintain ‘buy’ rating on SRF with target price of Rs 2,250 per share as brokerage firm is positive about revival in specialty chemicals business and strategy to grow through capacity expansion. With 4 major business segments, SRF has kept the growth high even if one or two businesses remain stagnant for a quarter or two. Expanding geographies make it viable for SRF to supply to customers in case of macroeconomic hindrances in some part of the globe, analysts said in sector update.